Not a book reader…magazines are my favorite reading. Runners World of course. I run to stay healthy & strong, to distress, for the sense of accomplishment, for the adrenaline rush, to spend time with my friends, to achieve goals & for that rush when you cross the finish line arms raised. 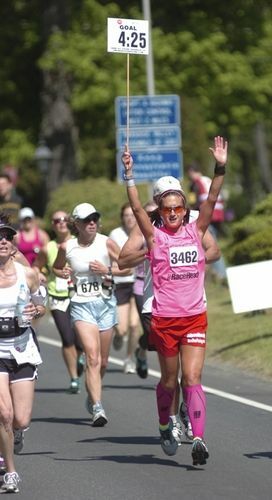 Crossing the finish line at Virginia Beach in March 2011 when I realized I had just qualified for the Boston Marathon. This has been a lifelong dream of mine. I realized that day that anything is possible if you dedicate yourself and work hard. Having my sister & nieces there at the finish line made it even better. I pace to have a good race. My best marathons are those where my pace varies the least. Running a consistent pace makes me feel stronger throughout the race and I recover better afterwards. 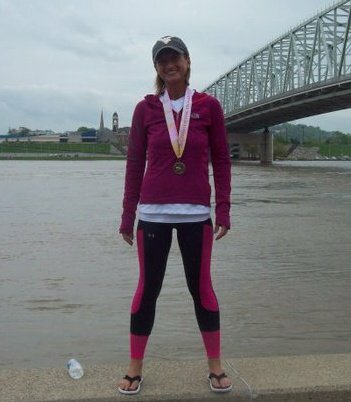 My best pacing experience is at the Flying Pigs Marathon in Cincinnati, OH. 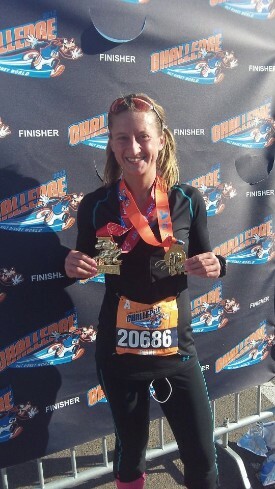 Ran the race within a 10 second pace for the full 26.2 miles. This was not my PR but was the race where I felt the strongest crossing the finish line. Ran with a pace group for most of the race which helped of course. I see a marathon as fun. I have a ton of positive energy on race day. I enjoy helping others to achieve their goals. My friends tell me I am fun & exciting to run with. 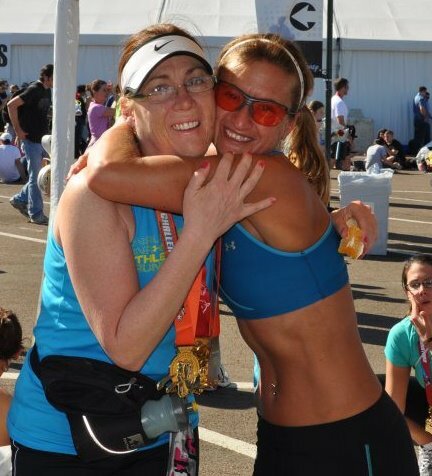 I would make the marathon an “experience” for those in my pace group. I am very goal oriented but like to have fun accomplishing my goals. Be prepared to meet your goal, have fun meeting your goal and know that I will be there by your side for the full 26.2 miles. My pace group will be full of positive energy and smiling faces. Running in my pace group will be a memorable experience. I will do ANYTHING I can for you during the race! I am very excited to be a pacer. I have been running for a long time and have been fortunate to have accomplished many of my own running goals. Now I feel it is time for me to give back to the running community that has given so much to me and help others to accomplish their goals too. I try to give to others every day. I do not work with one particular organization but am a “giver” daily to my friends and family. Knowing you helped someone emotionally or physically is priceless.